After one of the hardest fought matches in PCW Ultra history, how could you not believe in the new PCW ULTRA Champion Shane Strickland? Over the last year, Penta El Cero Miedo demanded and defeated the very best that the world had to offer. The Ultra-Faithful truly believed that no one could defeat the most dominant Champion in ULTRA history. That was until Shane Strickland stepped up to the plate and Swerved us all. Since the early days of Pacific Coast Wrestling, to the birth of the ULTRA era, no one has embodied or personified the term “Fighting Champion” more than Penta. For 371 days the two-time ULTRA Champion has shown zero fear in the face of wrestling’s toughest competition. Defeating the likes of Sami Callihan, Homicide, Johnny Ultra, PJ Black, and Hammerstone after dethroning former champion and wrestling legend Rob Van Dam. 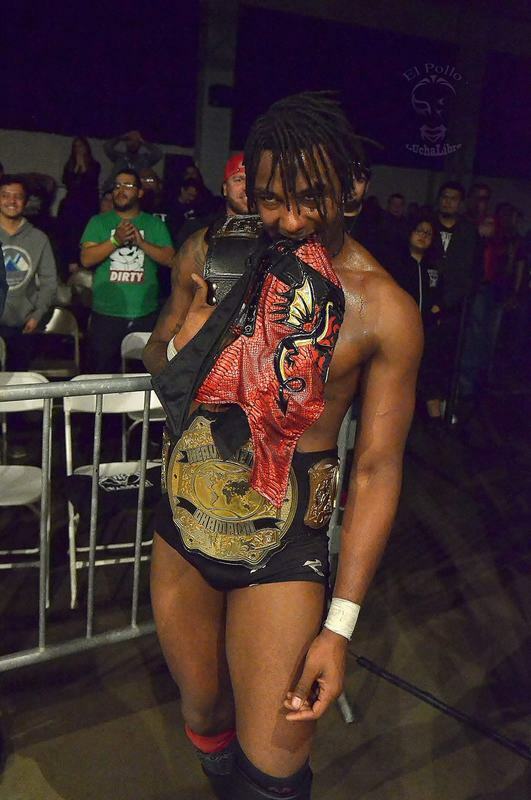 All of that came to an abrupt and sudden end on December 7th, 2018, when Shane Strickland became only the fourth person to hold the PCW Ultra Championship in three years. Strickland, one of the fastest rising stars in all of professional wrestling, has held both the Evolve and DEFY championships, as well as countless other titles. He now adds a new prize into his trophy case while joining the ranks of Penta El Cero Miedo, Rob Van Dam, and Johnny Ultra, forever etched into the PCW ULTRA record books. However, Swerve’s Championship victory may have created more questions, than answers. What is to become of the PCW Ultra Light Heavyweight Championship currently held by Strickland? Will PCW Ultra management force the champion to relinquish one of his titles? As of press time, the Director of Communications Dom Vitali was not available for comment. We hope to have an answer in the coming days. Please stay tuned to all PCW Ultra social media accounts, and PCWUltra.com for any new developments.